Slow Play has been a much debated and scrutinised subject within the game at all levels, but one simple and effective solution that many golf clubs have adopted is 'Ready Golf'. This is a useful set of guidelines that have helped to ensure that groups keep moving on the course and maintain a pace of play that reflects that of those behind and ahead. 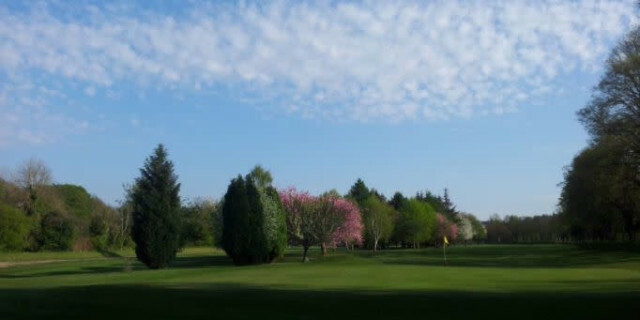 King James VI Golf Club in Perth, Scotland, which dates back to 1858, is just the latest club to take on the principles of Ready Golf for their new season, as the historic and unique club - which is laid out across an island on the River Tay - looks to encourage faster play among their members and visitors. The R&A - who have just unveiled the new Rules of Golf from 2019 - have listed their take on what Ready Golf should look like. Hitting a tee shot if the person with the honour is delayed in being ready to play. Putting out even if it means standing close to someone else’s line. When a player’s ball has gone over the back of a green, any player closer to the hole but chipping from the front of the green should play while the other player is having to walk to their ball and assess their shot. For many golfers, this is a common-sense principle that they already follow, but the wider acceptance of Ready Golf is an indication that club and courses are serious about tackling slow play and ensuring that all golfers have the most enjoyable experience possible. Credit to King James VI, which is moving forward with this change. Has your golf club encouraged members to adopt Ready Golf, or is it a move that you would like to see done? Perhaps you don't even see slow play as being a major issue. Let us know what you think.